Earlier this year Asus launched their Xtion motion sensor controller which was designed to bring Microsoft Kinect style control to the PC. 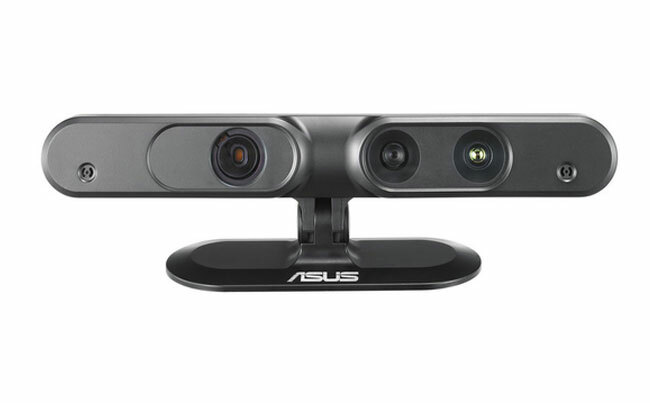 However when compared to the Kinect device Asus’s Xtion Motion controller came up a little short on specifications. Asus is now looking to correct this with the launch of their newly updated second generationPC motion sensor in the form of the Asus Xtion Pro Live. The new device is now equipped with a pair of microphones perfect for voice commands, together with a webcam 640×480 resolution. Asus has also introduced a new app store for Xtion devices where developers can upload and sell their app creations, but unfortunately the pricing of the new Xtion Pro Live Motion Sensor seems to still be a long way off the Kinect if its launched with the expected sales price of $270. Unfortunately no information on worldwide availability has been released as yet, but as soon as information comes to light we will keep you updated as always.